Yeretsian Law embodies the belief that everyone deserves to be treated with dignity and compassion. Established by Lara Yeretsian in January 2010, the law firm provides criminal defense representation for a wide variety of cases, including felonies, misdemeanors, DUI, drug charges, fraud, domestic violence, white-collar crimes and violent crimes. The law firm also provides representation for administrative law issues, including those involving licensing agencies, the DMV, real estate licensing and liquor licensing. 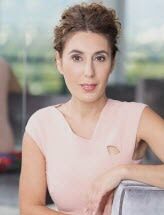 Lara Yeretsian is a trial attorney with more than two decades of experience representing clients in federal and state courts throughout Southern California. She has a proven track record of success representing people in a wide variety of industries, such as entertainment, sports, business, medicine, law enforcement and education. Before opening a private practice, Lara worked extensively on numerous high-profile criminal cases as an attorney for a locally prominent law firm, where she proved her ability to achieve case victories while protecting client privacy and managing the media. Because of this experience she is often sought after by the media to provide comments, opinion or legal perspective and has also been published in the Daily Journal and Law360. Lara has a reputation for persistence and creative problem solving as she builds a case and then stands by her clients throughout the entire process. She has earned the respect of her peers for her professionalism and skill in the courtroom. Contact Yeretsian Law for a free initial consultation at their offices in Glendale, California. Consultations on evenings, weekends and in area jails are arranged by appointment. Lara Yeretsian speaks fluent Arabic and Armenian.